GoldieBlox took us on a spinning machine ride the past few weeks, and when it ended, some of us were left feeling more dizzy and confused than exhilarated. When GoldieBlox’s YouTube advertisement first came out I immediately wondered how these little pastel colored plastic toys made in China were going to help close the gender gap in Science, Technology, Engineering, and Math (STEM). To me, GoldieBlox’s product seemed to be too good to be true. But why do we believe these types of claims? I suppose these ads offer us something new to consider, and these magic potions are way easier than the alternative that can be really difficult (e.g., working together, taking risks, being disappointed, failing, trusting one another, and being persistent to name a few). I tried to remember that as cute and creative as that GoldieBlox ad was, there was another hip-hop song that taught me not to believe the hype. So, with a bit of reluctance of supporting either GoldieBlox or Toys “R” Us, I went and bought Goldie Blox and The Spinning Machine so I could speak honestly about the toy. I feel that the company’s heart is in the right place, and that they want to do good. But, there was something deeper that bothered me about the company (beyond the whole Beasties lawsuit), so I started looking through the lenses of other people’s perspectives on the company. In looking through the lens of a parent, you’d do anything to support your child and make your child happy. If a toy can get children excited about engineering, and all the possible things they can do in life, then you’d buy this toy. You want to empower your child. And you want to give them inspiration and positive role models. GoldieBlox wants to appeal to your girl’s interests and let her be herself. It’s the best of both worlds, it promotes being feminine and wearing a tool belt that you use to build awesome machines. I quickly found parent’s opinions of GoldieBlox were across the board. Some parents bought the toy as soon as they heard about it, others were hesitant with a not yet, and lastly some were opposed. I started looking at the positive reviews on Amazon, and several were the company’s Kickstarter backers (they identified themselves as such). I personally have never contributed to Kickstarter, but I’d imagine this skews your perception of the toy if you have backed it from the beginning. In thinking about what makes a good toy, I looked through the lens of play. I reflected upon my own childhood play. 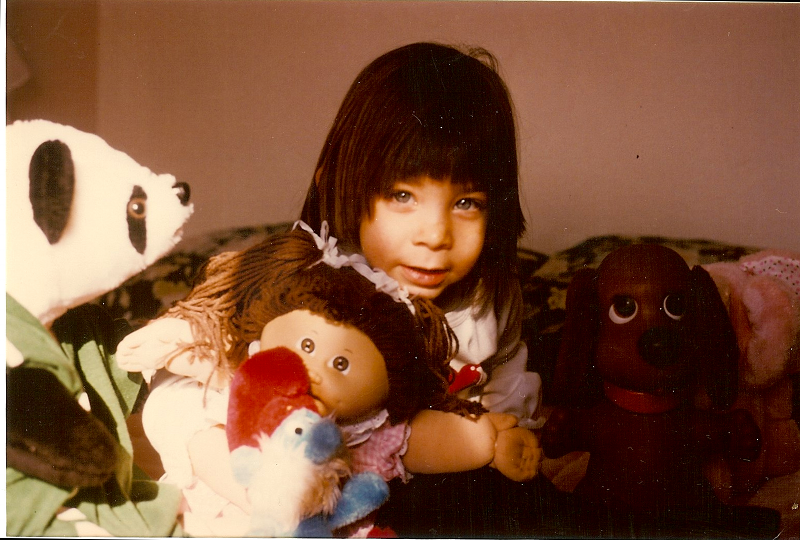 I never went through a princess phase, but my favorite color was pink, I adored my stuffed animals (that’s me in the picture!) and I loved rainbows and unicorns. My parents did not go to college, but they knew to give me the freedom to play. I loved stuffed animals, I hated losing at CandyLand. I played how I wanted and with whatever I had. I made flowers and water into secret potions, and snow into igloos or angels. I was fortunate to live right next to a playground with tons of sand and lots of metal, wood, and cement structures. When I got bored I figured out something to do. It was in my childhood that the seed of curiosity was planted that would cultivate as I grew. It was this curiosity that would lead me to get a PhD in computer science. I thought about what toys kids today play with, and at my own disappointment when I walk through the Toys “R” Us aisles. The boxes all look so similar to me, there’s of course some good toys and games, but they seem to be much harder to find now than when I was young. So, on this front I agree that the pink aisle should change, but I also think the blue aisle could use change as well. In my opinion, the toy industry needs changing not just because of gender stereotyping, but because play is learning. Not all toys out there facilitate great play for kids, just like not all food out there is healthy for kids. Largely, I believe that kids need exploratory play, and to devise their own rules and goals in a safe space without adult supervision. A lot of toys don’t support these needs. Professor Peter Gray has written a must-read article on the freedom of play, how it has diminished, and how this lack of play is detrimental to our children. Dr. Gray recognized that “Adult-directed sports for children began to replace ‘pickup’ games; adult-directed classes out of school began to replace hobbies; and parents’ fears led them, ever more, to forbid children from going out to play with other kids, away from home, unsupervised.” Through his research he argues that limiting play increases narcissism, anxiety, depression, and decreases empathy and creativity. Kids need true, honest-to-goodness, genuine play, and we need to support play as best we can with the games and toys that we buy (and develop). 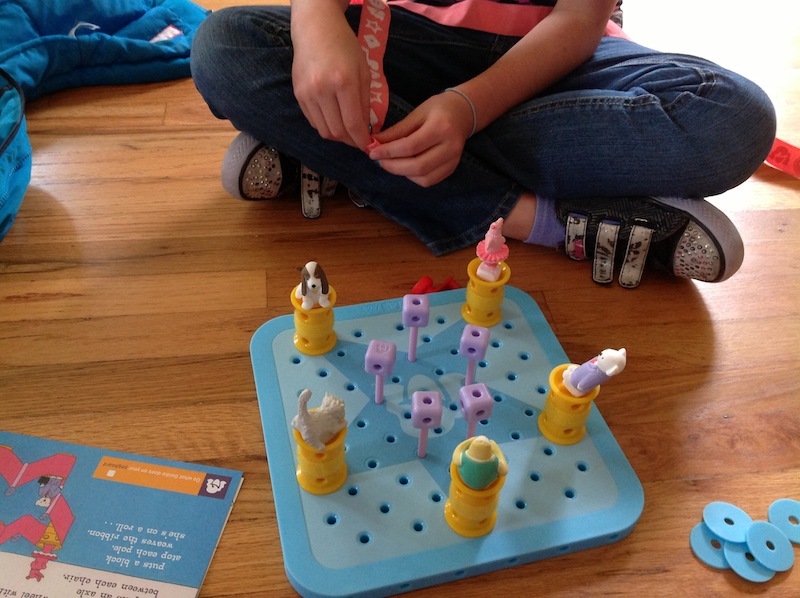 GoldieBlox’s second toy is princess themed. Debbie Sterling did just that. Debbie was working as a marketing director before she founded GoldieBlox. She talked about her “big ah-ha” moment on her Kickstarter page in which her year of research led to Goldie Blox and the Spinning Machine. It’s “simple” she said. And then she made an awesome ad. I saw that TED culture buzzing around GoldieBlox, but I knew that these toys aren’t the solution to recruiting and retaining women in STEM. There is no silver bullet for this type of problem. It’s not that simple. I’ve spent a little over ten years researching individual differences, spatial skills, play, learning, games, user experience, and doing outreach to encourage youth to explore STEM as a possible career option. I really wanted to get behind Debbie and her toy, her passion seems similar to my own. I read people’s different perspectives of GoldieBlox to try to put my finger on why I didn’t support GoldieBlox. And then I had my “ah-ha” moment. I’ve spent all my energy trying to get youth introduced to STEM, and for products to have an awareness of individual differences (see Ziemek et al., 2013) by being inclusive, not exclusive. In my 2003 I3D paper on gender differences, my message was not to make games two-dimensional and easy for girls, but it was to reinforce the idea Mary Flanagan  stated that computer-generated worlds would change significantly in functionality, control/navigation metaphors, and aesthetically if there was consideration of the implications of gender and virtual space issues. I was trying to figure out what it was about three-dimensional graphics that troubled users, and to alleviate those problems. I wanted people to be aware that girls like a challenge. But maybe it’s that us girls like challenge to come from increased difficulty in levels of play, not from figuring out how to use a poorly designed interface or control a virtual camera. Since that paper I’ve tried to argue that companies should make products that are accessible to everyone. To use research on individual differences including spatial skills and gender to design a product that is inclusive of everyone. My dissertation research showed that you can have a visual aid in a virtual three-dimensional environment that can be used by both low-spatial and high-spatial individuals rather than using an aid that mainly benefits high-spatial individuals. I have never argued that a product should be made for a special subset of the population, but rather that the product should include something for everyone. I much prefer the Popcap attitude of design for everyone (and their games speak to this design). To me, designing for everyone means to design for different strategies to solve problems, different modes of play, tools and aids that can be used by everyone, like people with lower spatial skills or people who can’t perceive color as well as other people, tutorials built in to teach play, and incorporating a theme that won’t offend a particular group of people. 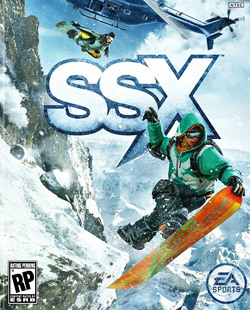 I want a game that everyone can play. A game with no prerequisites or barriers to entry. Just come on and start playing! Whether the user likes the game or toy is another story, but the accessibility is there. If a user plays with it, and finds it’s not for them, then great – they can move on to find something else of interest. I feel the same way in regards to advocating STEM. Let people explore STEM, but if they aren’t interested in it, that’s okay. There’s plenty of other other career options that can be just as rewarding and fulfilling. I’ve heard lots of well-regarded people from Steve Jobs to Oprah say things like ‘everyone has in them something to contribute to the world, an innate interest that is unique to them, and that people have to keep searching until they find that thing,’ and I believe that too. It frustrates me when I read that people think a line of products can get more girls to be engineers. I achieved a PhD in computer science not because of my love for my Speak N’ Math toy (and believe me, I loved that thing), but because of numerous mentors, professors who encouraged me to study CS, academic advisors, thesis and dissertation advisors, CRA-W, ACM-W, Google for awarding me a scholarship, NSF, U of Utah, a few males who said condescending things like “You know computer graphics isn’t like, using Photoshop, right?” or “You’re not a game designer” who I wanted to prove wrong, being like the women in this article “who don’t give a crap” about what others think, and the support of my lab mates, colleagues, friends, boyfriend, and family. Now, in all of this support, there’s a whole lot of men involved! Yes, you heard me right, I could not have gotten to where I am now without men. And I believe this is what really troubles me about GoldieBlox. It doesn’t set girls up for reality. In the story that accompanies the physical toy, when Goldie has difficulty with her spinning machine, she gets through it without the help of anyone. Instead Goldie hula hoops, tries on a hat, and then when she puts on her sunglasses the solution literally hits her in the face. I do admit I’ve gone on walks and done yoga (including headstand to literally see things a different way) to try to find a solution, but the vast majority of my solutions have come from talking it out with others, tons of iterations, constantly rewriting, talking it out some more, trial and error, experimentation, persistence, more talking, and a stubbornness to not give in or give up. In my playtest of the toy, Goldie Blox and the Spinning Machine didn’t really leave much room for failure. My 8-year-old female playtester asked a few questions here and there, and made some modifications to her peg board, but she never really failed. 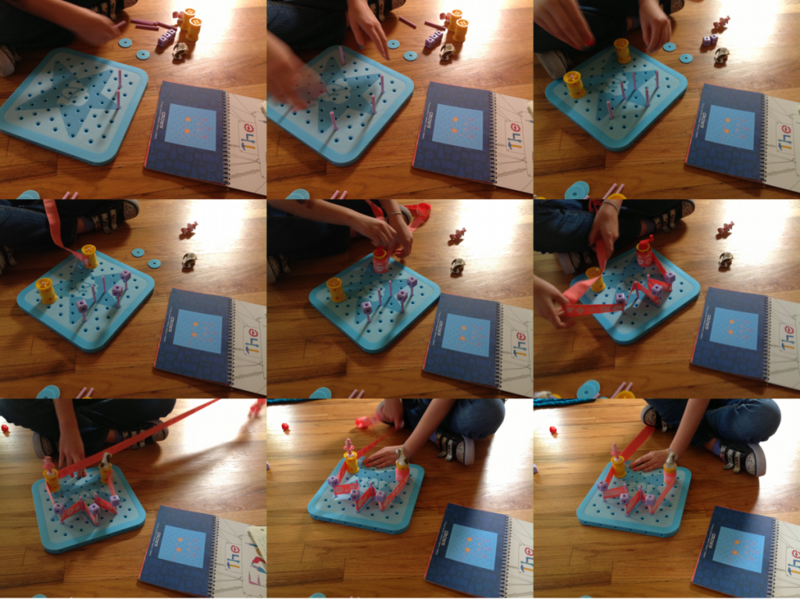 I truly believe that the mark of a good toy or game supports frustration and failure, and recovery – because ultimately that is how we learn (drew davidson has a great piece on games being hard, if you haven’t read it, do, and if you have, read it again). My playtester made the star-shaped design following the instructions of the book with ease. I believe the mark of a good toy encourages both success and failure. 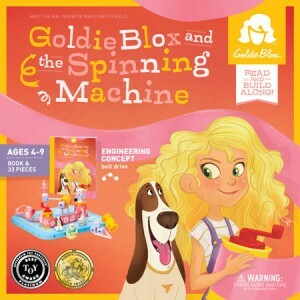 Instead of encouraging the player to experiment, Goldie Blox utilizes a story that has instructions to build the spinning machine that guides the player along the way. My playtester only made minor errors, which she corrected herself (note that I did not help her at all, I answered all of her questions with “I don’t know”, “I haven’t played this before”, or the like). She made a few changes here and there, like moving pegs around to accommodate Goldie’s design, but I never saw real frustration. I didn’t see that deep engagement or play that I’ve seen her have when playing with other toys or games. Instead, I saw a girl who was confident, who was good at following directions, and who has probably has good spatial skills. After our playtime, my playtester wanted to take the toy home, and I let her. It turns out she took it because she wanted to show it to a few friends at a party later that night, and she did show it to them. After that night, she hasn’t touched the toy since (it’s been one week since our playtest). I’m not sure if her initial interest was because it was something new, or because she had watched the commercial with her dad and her dad was excited by the Beastie Boys. I speculate that it was probably a bit of both. The best thing about Goldie Blox and the Spinning Machine is that it gave my playtester and me the opportunity to play together. I got to explain to her what an engineer was, and she listened. And I know how important it is to have people encourage you, and have them bring up things that you yourself may have never considered. In the future, if she doesn’t want to hear any more about STEM then I will respect that, and we can go back to playing. When advertisements and products come out we can’t confuse opinion for fact. In my I3D paper I included a warning from Lane  that stated generalizations of gender differences could lead to stereotypes which can be wrong, and such stereotypes can become self-fulfilling prophesies. It was my intention to include this quote in the paper so readers didn’t stereotype girls and think that all they like are two-dimensional easy games. I’ve included this quote in this blog post in hopes that readers don’t stereotype girls into thinking all they need is Goldie Blox, or any other toy for that matter. 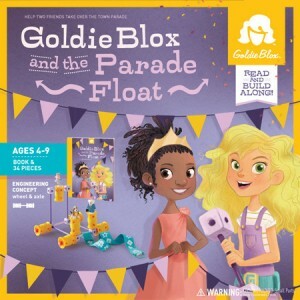 Goldie Blox gives parents an opportunity to show their children that girls can be engineers if they want, that girls can build machines, and do it while being feminine. The combination of book and physical toy. I really like how the book incorporates a story and characters with building. Adding characters helps kids be engaged with toys. I liked the washers. My playtester used them and said “the washers help the characters go faster.” This type of experimentation and cause and effect is a great way to teach STEM. Making the characters fly off the machine is fun. I’m not sure if this feature is intentional or not, but it’s cute. If the player pulls the ribbon too fast or too hard, then the characters turn into little projectiles and randomly fly off their wheels. Allowing players to build designs of their own imagination. My playtester decided to build a heart-shaped spinning machine after building the star-shaped design from the book. 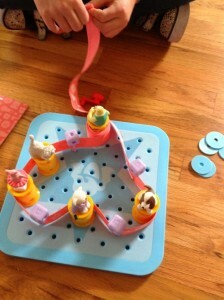 My playtester made a heart-shaped spinning machine after she completed the design from the book. The peg board is fairly small, which limits the shapes of spinning machines that can be made. This also limits the player’s imagination of what can be built. Machines are limited to two-dimensional designs. For example, circles and squares are possible, but spheres or cubes are not. From my experience, three-dimensional representations are difficult for people to visualize, so it could be very beneficial for players to get experience with three-dimensional structures. The toy itself is fairly limiting because the child is supposed to follow an instruction book that leads her to build a device of the designer’s choosing. The device is something that spins, the toy doesn’t allow for anything else except for a machine that spins characters around about a particular axis. For example, all characters spin on their own wheel in a clockwise direction. Players cannot make certain characters go clockwise and others counterclockwise. Characters all spin at the same speed as well. In playing with the toy, I didn’t see how you could vary the toy to accommodate different axes of rotations or speeds with the tools available. The Spinning Machine designs are fairly simple, and in turn, the building time is too short. My 8-year-old playtester completed the book with star design, a heart, and the crown all in about 50 minutes (she did take a short break from playing in between building the heart and the crown). were excluded because they were redundant. The action portion of spinning the characters is too short. The spinning only lasts for a few seconds. My tester spent a lot of time winding and rewinding the spool and ribbon so she could see them spin again and again. She probably spent more than a quarter of her time winding ribbon. For a building toy, this much time spent doing a somewhat idle task surprised me. Design the books and physical toys so that they can stand alone by themselves. Make the book interesting enough that the child would want to read it on its own. Make the toy so that the child could play with it without having to read the story first. Hire a professional storyteller. Maybe I’m biased here because of the epic narratives I worked with for Leo’s Pad, but I personally found the book lacking in depth. I felt that the Goldie book wasn’t written as well as other children’s books. I found it to read more like a whimsical instruction manual than a children’s story. Furthermore, after our playtest, when my playtester’s dad asked her why she built a spinning machine, she didn’t know. I prompted her to think back to the story about why Goldie wanted to build the machine, but she couldn’t remember. 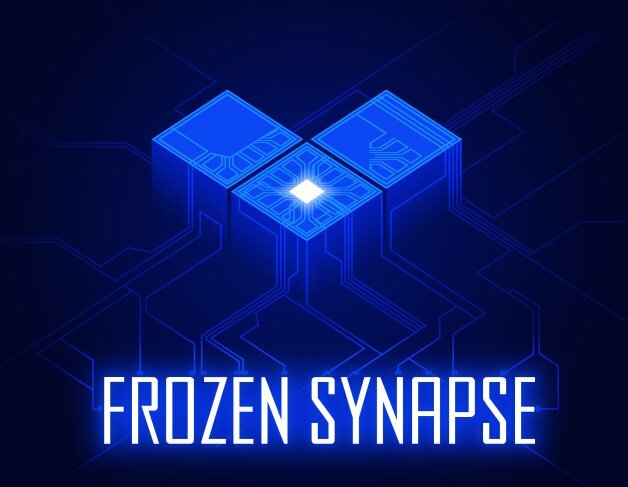 If the story had been more compelling, then I think my playtester might have had a better chance at remembering the inspiration for the machine. Design the toys so that each physical toy set can have multiple books. This would help increase replay value of a single toy like Goldie Blox and the Princess Machine. Be inclusive, not exclusive. Growing up is tough. When I was young, I found relief in my toys, and sometimes my computer was my best friend. Try to appeal to everyone, even girls who don’t dress up in pink or enter pageants. Stand true to your convictions. If you want to appeal to the Barbie crowd and girls who love princesses, then do that (and completely ignore my previous recommendation about being inclusive). But don’t appeal to one set of girls at the expense of making others feel self-conscious for not being both princesses and engineers.